The Ypres region was the backdrop to one of the bloodiest battles in history, over 100 years ago. Now the last witness have died too, the In Flanders Fields Museum is more than ever the gateway to the First World War in Flanders. 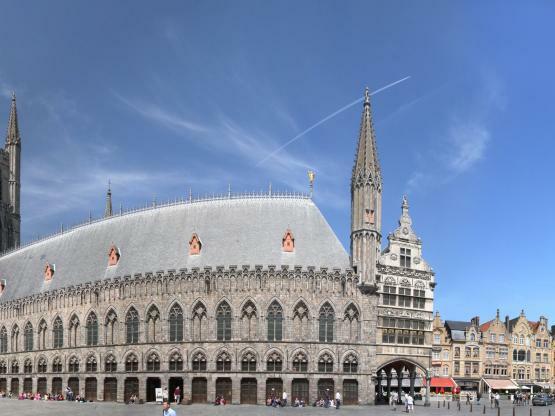 The In Flanders Fields Museum confronts the visitor with the consequences of the Great War. Old and young are faced with life and death in the Ypres front region. The exhibition with touching video projects, unique sound fragments and the most up-to-date multimedia applications immerse you in the life at the front. Each visitor also receives a poppy bracelet that enables him/her to discover four personal stories of 'Joe Public' in the Great War. By logging in you can meet your peers in the war, a century ago. A museum visit takes about 1h30 to 2 hours. We advise to start your visit at 4 pm at the latest.